Hi! 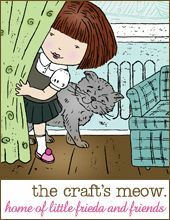 Welcome to day #4 of The Craft's Meow February Release Preview! Today we are giving you a peak at two beautiful stamp sets. "Soaring High" designed by Nina B, and " Rejoice" designed by Kaitlyn Ord Long. These sets are so beautiful! Here is the card I created for today's peak! I truly love this card. If you look closely you will see that I stamped "faith" and "grace" behind the main sentiment using Latte pigment ink from A.S. 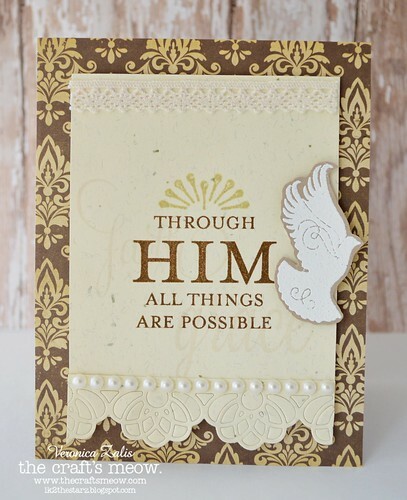 I heat embossed the dove in white and to give it an extra pop I used kraft card stock as my base. I do hope you like my card, and I am happy you stopped by today! Beautiful card. I have been looking for this type of stamp set! Thanks.